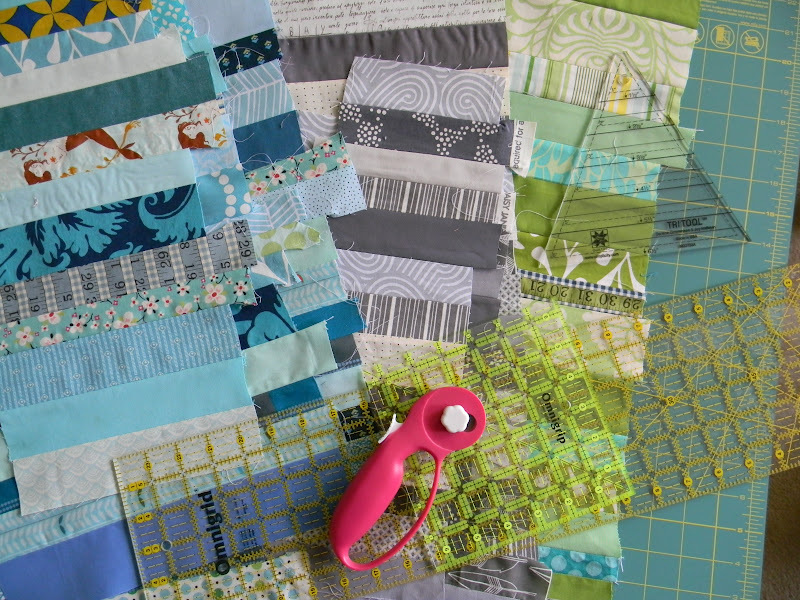 I've been working on a quilt for a publication. Writing patterns requires a lot of precision and some math, so for a change of pace I turned to my bin of scrap strips. A little mindless strip piecing and I had a pile of strip sets. Some multicolored. 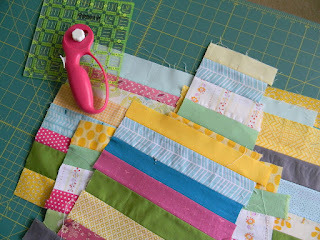 I brainstormed and had 11 different uses for these strips sets, and those were only the ones I particularly liked! 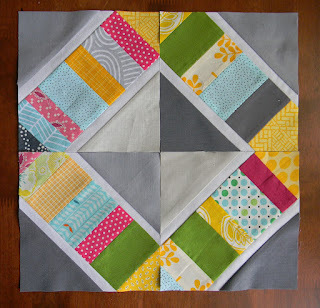 To start with, I created a stack of x string blocks using this tutorial. I was able to use a charm pack of various gray fabrics I've been wondering what to do with. I like the effect created by the different grays. These blocks finish at 6 inches, so I'll need to make a bunch more to even reach baby quilt size. 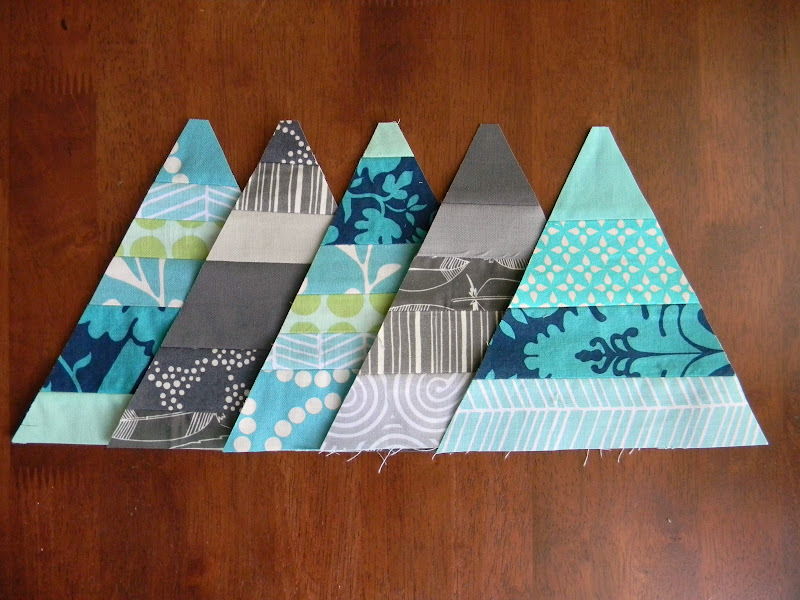 My new triangle ruler made quick work of some gray and blue strip sets. It's a little busy though, right? 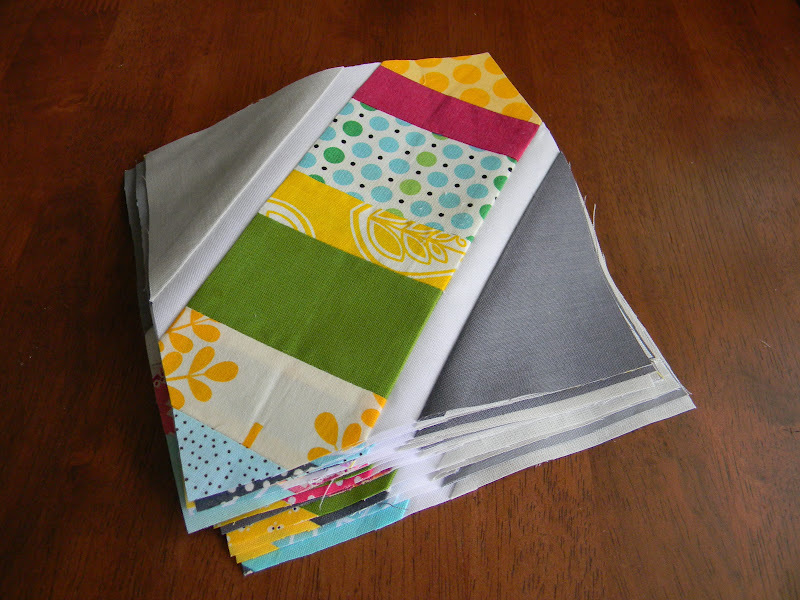 I added a stack of solids to the mix. Can't wait to get this pieced together. 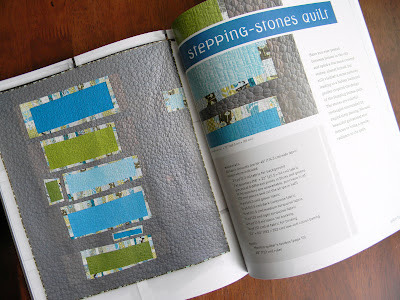 I've been waiting very impatiently for my pre-ordered copy of Quilting Modern to arrive. I've mentioned before that Jacquie is a friend and the former president of my local Modern Quilt Guild chapter. I've had the pleasure of seeing her work in person on many occasions and am always inspired by it. 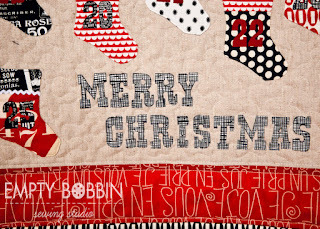 She has encouraged me so much as a quilter. 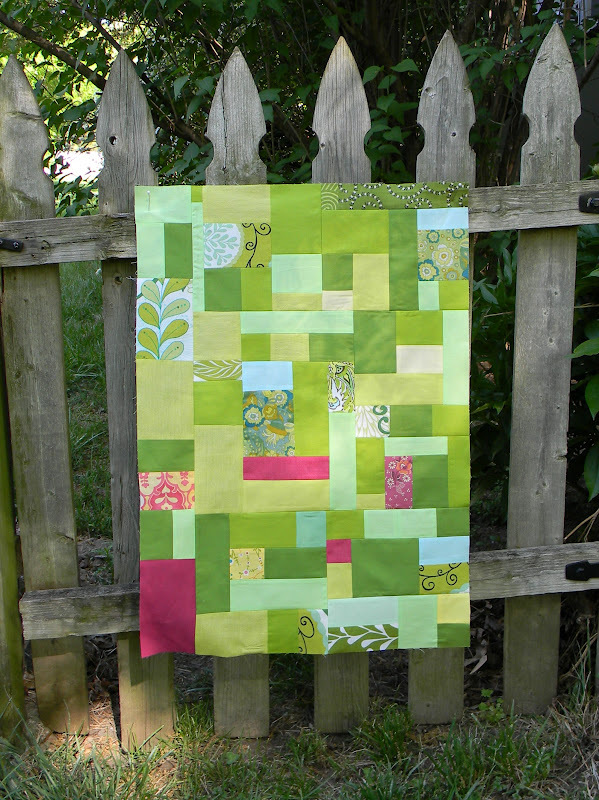 While I don't know her co-author Katie Pederson, I've favorited many a quilt of hers on flickr, like Stepping Stones. So, when the book finally showed up this week, I read it straight through. Click the photo below for an affiliate link to the book. 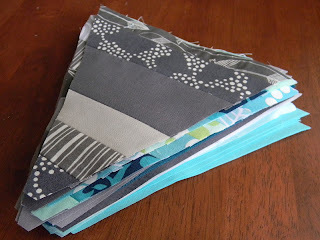 Now, I do buy quilting books, but I rarely follow a pattern from one. 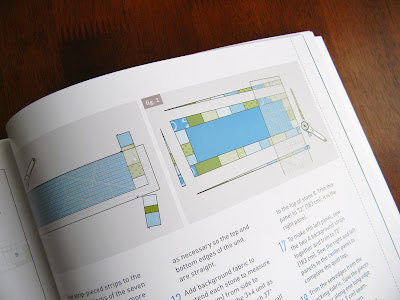 This book is exactly the kind of quilting book I have been waiting for. 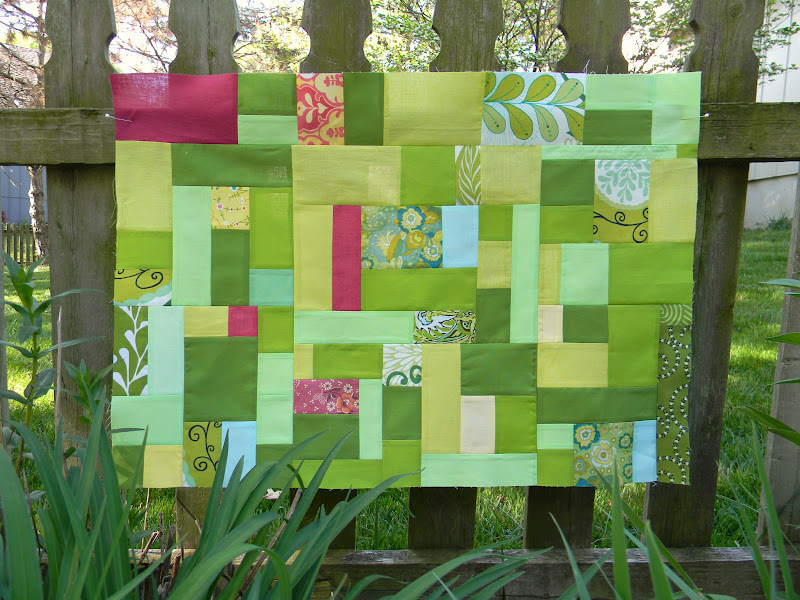 It explains and illustrates improvisational techniques and shows you how to use each technique to create several different modern quilts, allowing you to use the method on your own rather than follow a strict pattern. I'm excited to try several of the projects, but my favorite has to be the one that first caught my eye on flickr - Stepping Stones. 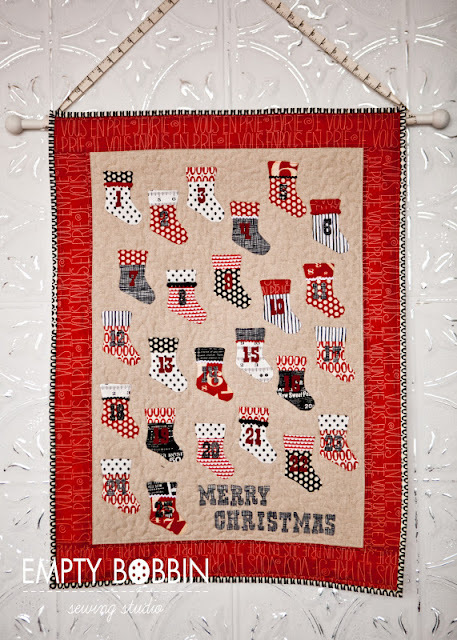 It was quilted by the fabulous Angela Walters. Look at those pebbles! 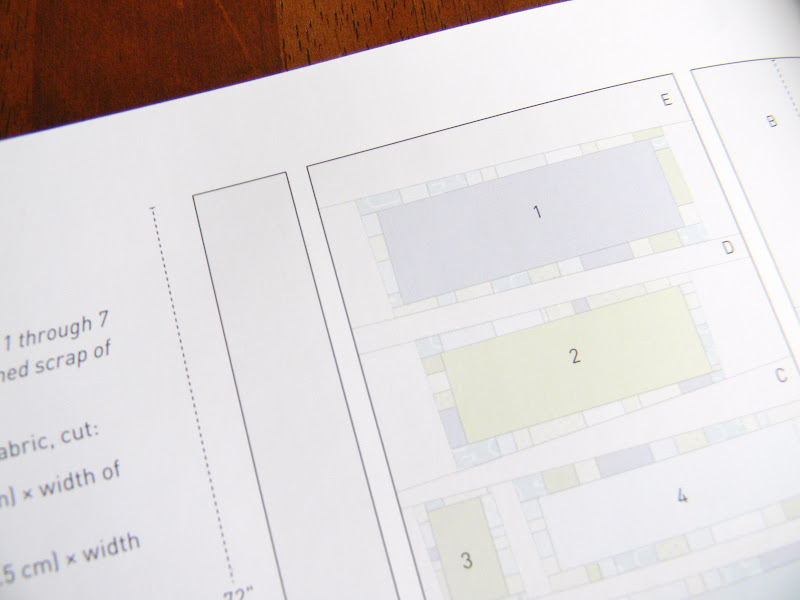 I love that the book includes a diagram of each quilt and basic dimensions, without giving specific measurements for every little piece. 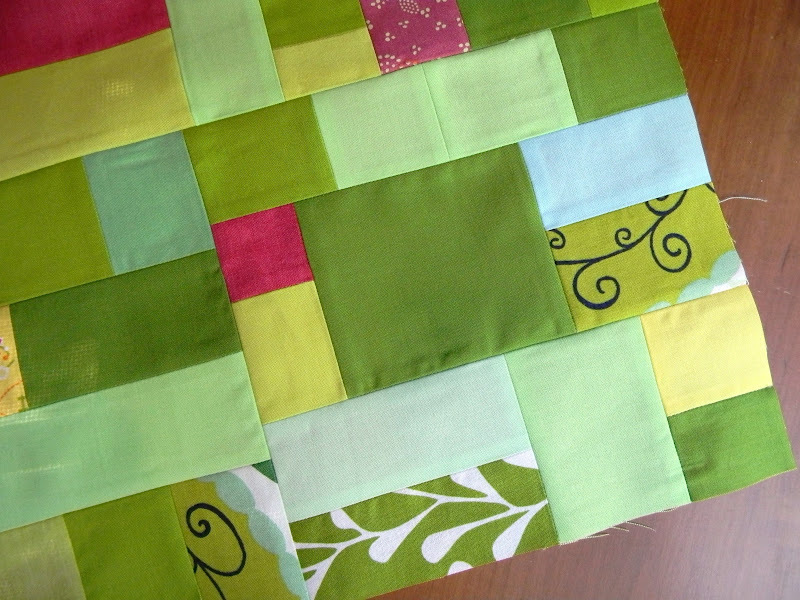 It gives you enough information to create the feel of the quilt while making it really your own, not a replica. Interweave has formatted the book beautifully, and the illustrations are really well done. I am definitely a visual learner when it comes to techniques, and I can understand each method at a glance. If you're interested in modern quilting and want to try improvisational piecing, this book is a must own! FYI, I have not received anything for this review, but I loved the book so much, I had to spread the word. It's that time of year again. 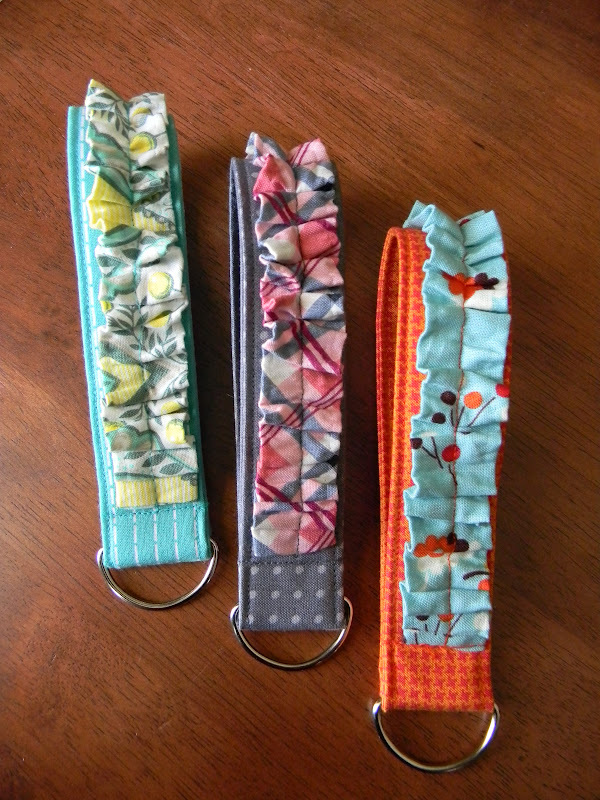 My go to gift these days is ruffled wristlets, using my simple tutorial. And yes, I do have to go back read my own instructions every time. Now that my older son is in elementary school, there are so many teachers to thank. He has one for Spanish, one for Music, one for Art, and so on. 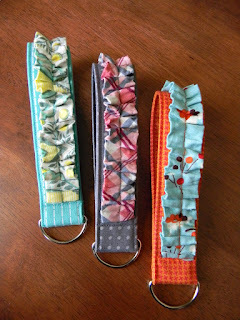 These are a quick and inexpensive way to give handmade thank you gifts to each person who has taught him this past year. 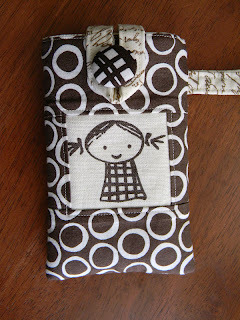 I spotted Shea making some of these at the retreat, and she was kind enough to share a great tip with me. 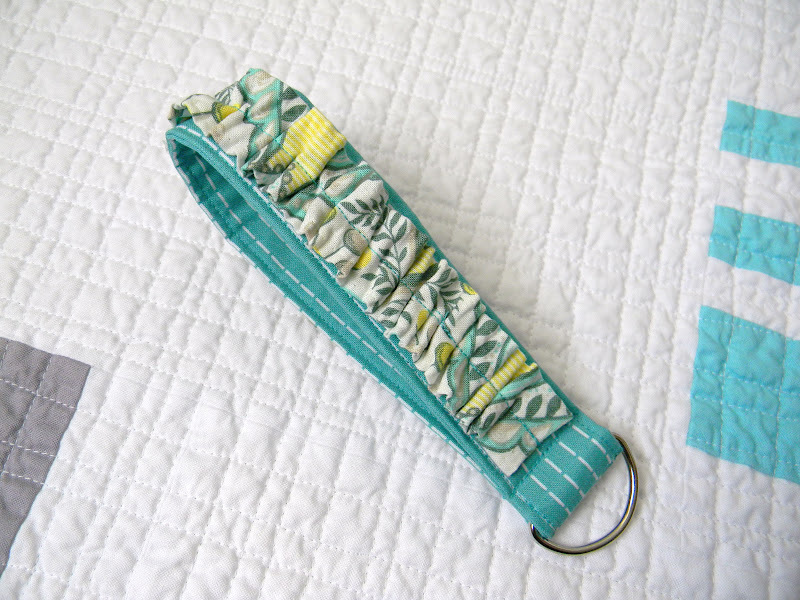 When you go to gather the ruffle, run a basting stitch down both sides of the strip instead of a single line down the middle. 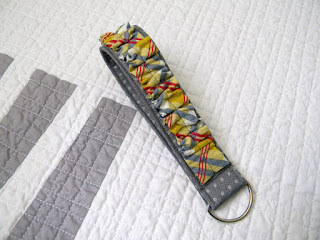 This will make gathering the strip so much easier, and it will stay nice and straight for you, instead of twisting up. 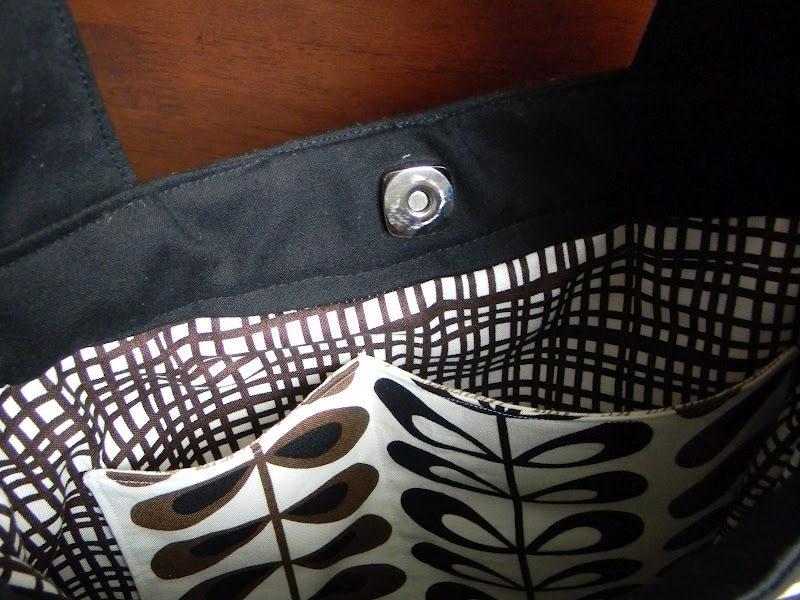 It also makes the basting stitches easy to remove after you've sewn the ruffle to the wristlet. Thanks for the super tip, Shea! And as you may have noticed, my backdrop here is my Flashdance baby quilt. I had it out after washing and drying it and listing in my shop. 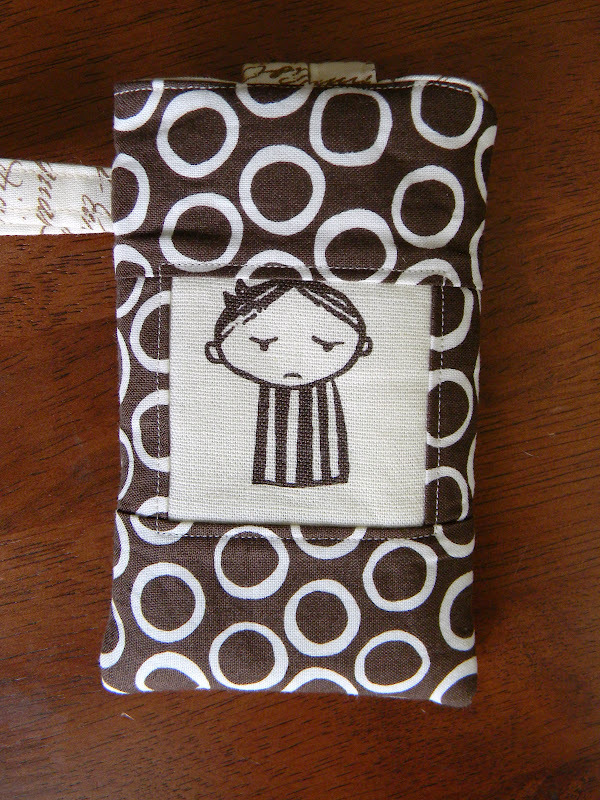 I also listed the doll sized quilt too. 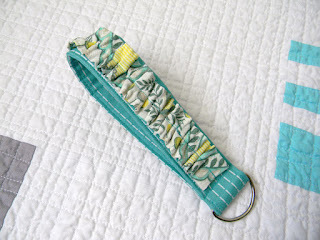 Okay, now I have more wristlets to make! 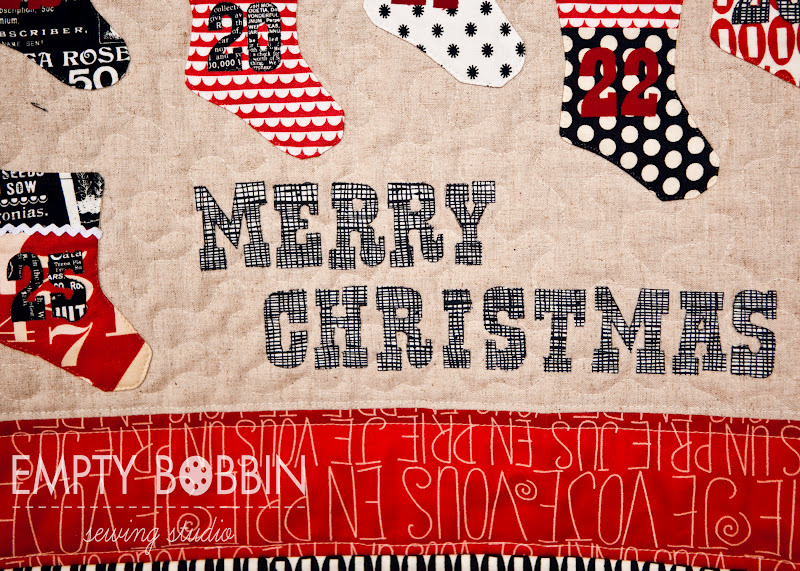 I finished my first bit of Christmas sewing for the year. Actually, I would have done it in late November like everyone else if it hadn't been for Shea. 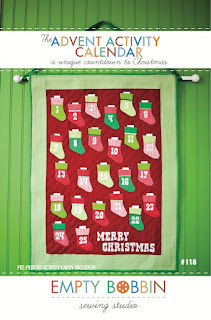 She asked me to test one of her latest patterns - the Advent Activity Calendar. I've been meaning to make an advent calendar for my boys, and I love that this one doesn't involve candy first thing in the morning. I'm really excited to try all the fun activity cards that come with the pattern. Each preprinted card slips into a stocking. My kids are going to love doing a special Christmas activity each day. 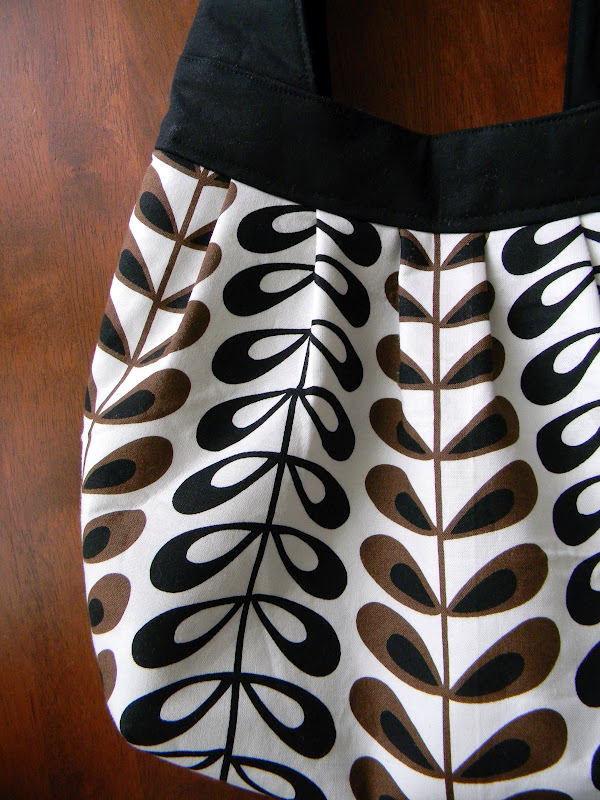 I wanted to make something a little different and took the opportunity to use some fun, new fabrics. 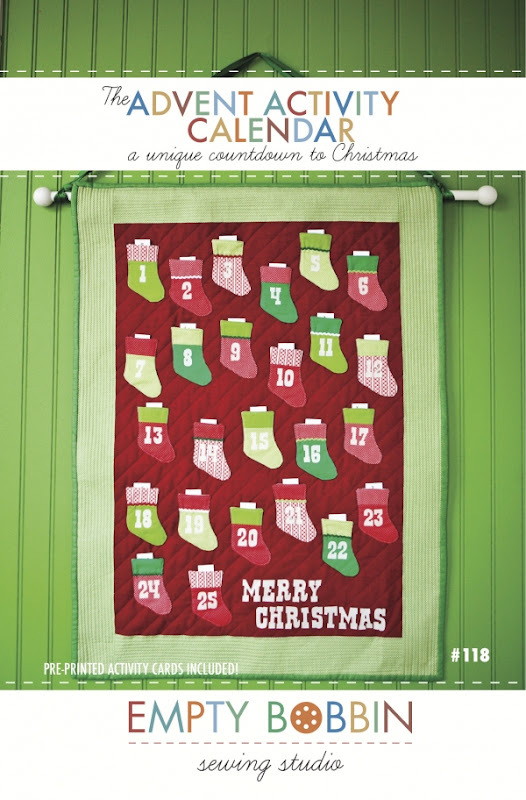 They are not my usual colors, which is a nice change, and the calendar will look great with my Christmas decorations. Isn't the photography pretty, too? 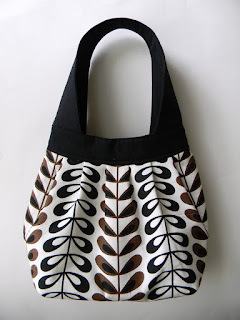 All Shea's patterns are shot by Sarah Sorell. If you have already tried an Empty Bobbin pattern you know the instructions are super clear and easy to follow with clever construction details. 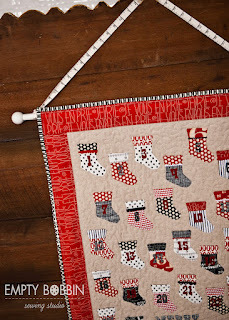 I loved how the stockings are cut from pre-pieced strip sets and you can add embellishments to your taste. I used invisible thread to applique my stockings in place, which worked really well. The good news for you is that Shea is giving me an extra pattern to give away, so check back for a shot at an early Christmas gift in a couple of weeks. What a gorgeous spring we are having this year. 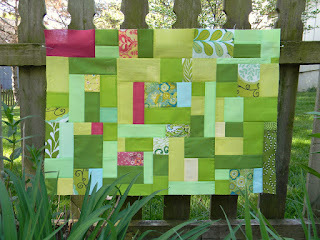 I feel like I'm diving right into it with the bright greens and rhubarb pinks of this improv block. This is going to be part of something larger. After some experimentation with value and using just a smattering of prints in this block, I'm going to apply the lessons I've learned to some other color combinations. I can check two things off my list. 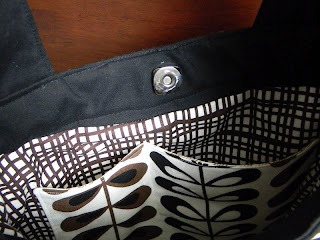 I got both projects done on my sewing retreat, despite leaving early because of a family emergency (all doing okay now, thankfully). 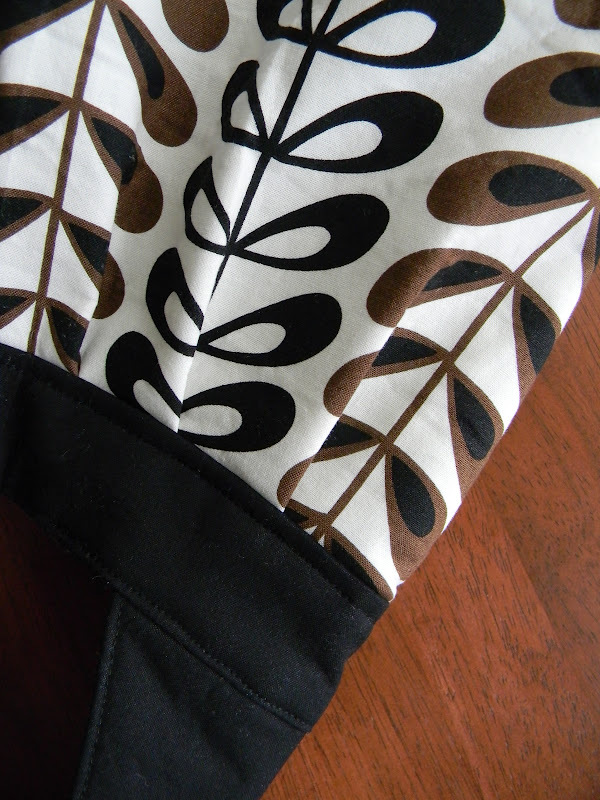 My first priority was a birdie sling for my mother-in-law. It was her birthday gift...last week. She asked for a black and white bag, and I found this great Alexander Henry print called Kenyan Tea Leaves. I made it at 75% size as I did on my first birdie. I paired it with Kona black and some Echo on the inside. And see the little guy on the back? I based my case on this tutorial by fairy face designs although I changed the size of the patchwork panels. It fits an iPhone perfectly. It feels good to check some things off my list!